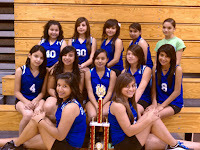 Grulla Middle School 7th Grade "B" Lady Cranes Volleyball players took winning spot and came in 1st place at the Volleyball Tournament Saturday, September 25, 2010 in Roma. Players are from (l to r) Front- Julissa Monsivaies, and Jackie Montalvo. Middle-Yessica Garcia, Natalie Garcia, Mckayla Bernal, Alexandra Salinas, and Serena Alaniz. Back- Jazmin Leal, Yamilex De La Garza, Ashley Cardoza, and Dayana Garcia. 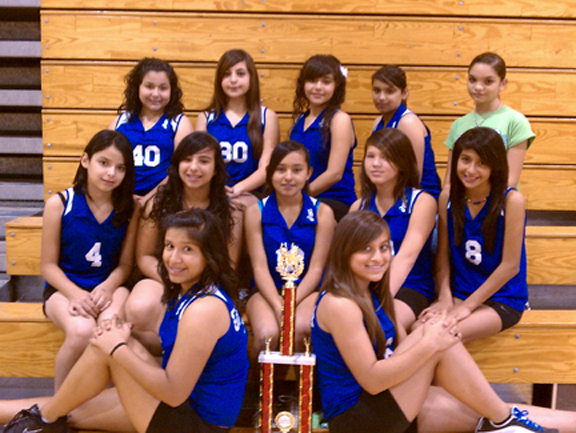 The Lady Cranes are coached by Ms. Dorah Rodriguez and the manager is Stephanie Flores. Congratulations ladies on a job well done!